You know we love market research and in this article we’d like to discuss and comment the latest results published by Reuters in their worldwide market research on news consumption and mix them with some EBU media intelligence reports to understand where medias are heading to. Let’s start for once with the global conclusions : by and large TV remains the main source for news. Online sources have been increasing steadlily since 2010, quickly taking the lead among younger audiences. As far as social media is concerned, it’s still far from being the main source of information. However, in the 18-24 segment it’s increasing rapidly and may in a few years become the #1 hub for information of younger audiences. This may be worrisome as information diffusion on social media (especially on Facebook) is controlled by algorithms, which is mostly not known by users and leads to so-called filter bubbles. 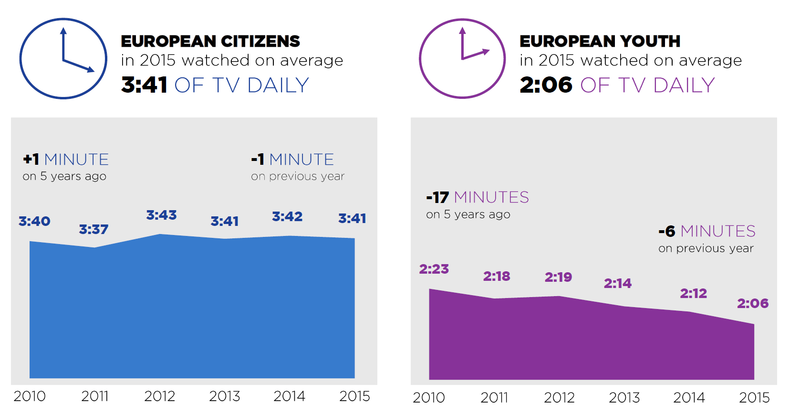 TV is the main media used to get informed, but rapidly declining especially among 18-24 (see EBU market research). 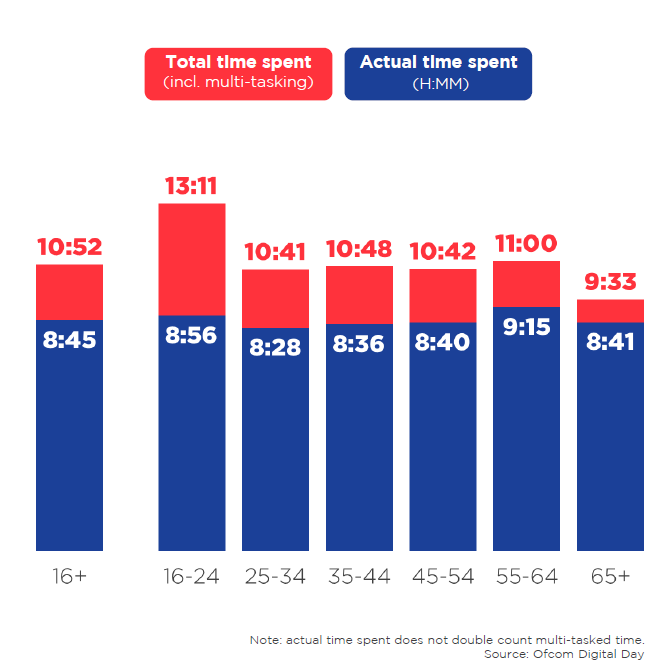 (all age segments together but as EBU notices “stable viewing time among all viewers masks declining viewing time for youth). 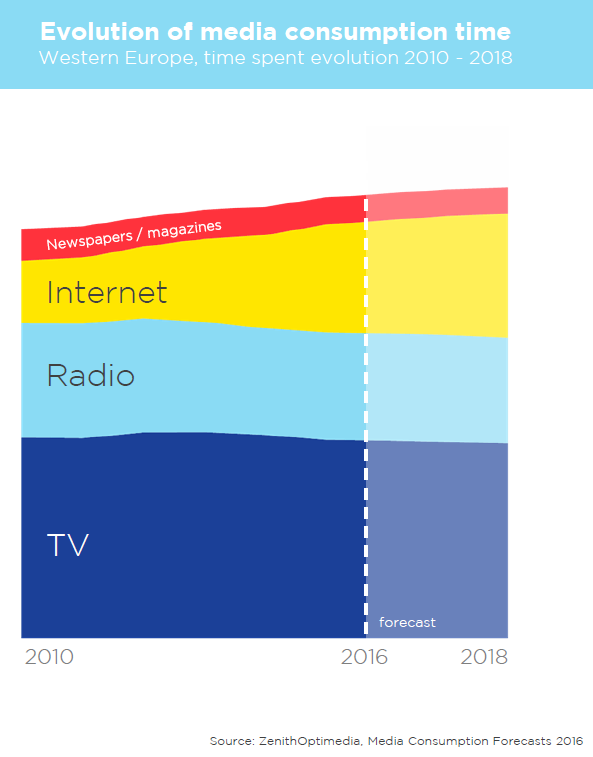 Media consumption time increases (only slight cannibalization effects but it’s online news consumptions that contributes this increase in total consumption). Online news are consumed mainly on smartphone (53%); tablet and desktop uses are not progressing anymore. Other studies show that consumers are less likely to pay for news in countries where the offer is abundant, i.e. which may suggest a parallel with how much a language is spread. In smaller countries and strong cultural/language identities, one may expect that the likelihood to pay for news will be bigger.